I love Talking about Galveston. The Hard Part is Where to Start? 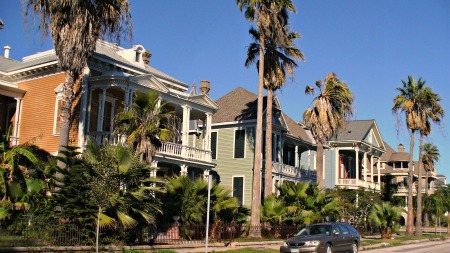 Should I talk about Galveston and its Victorian homes first? I know maybe the Greek revival or Italianate ones? Of course there are mansions too. Some like small palaces, another like a castle! 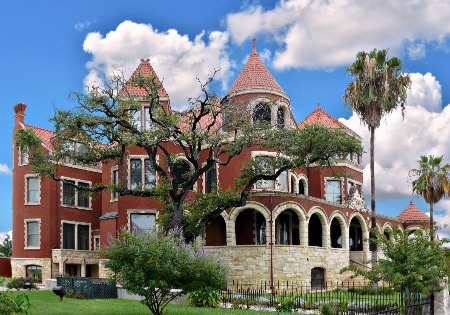 These are real mansions from another time. How about something more lively, festive? You feel the need to be outside and celebrate. You need fresh air, sights and sounds of people alive and well. And the big Gulf of Mexico horizon to meditate on! All along Seawall Boulevard are restaurants and bars with open air balcony’s facing the sea. There is something for everyone: live bands and dancing; hang out with biker friends; a ladies night out; or guys night out; or quality family time. 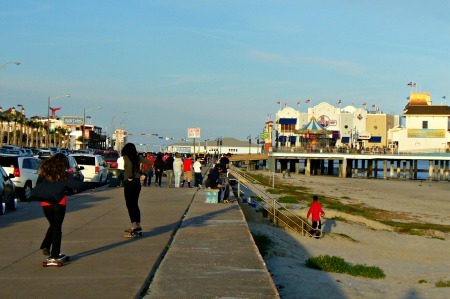 Look no further than Galveston’s Seawall restaurants. Here take a break from everyday life. There are so many attractions here. Plus so many ways to see them! See the dilemma? We have to talk about this! I’m sure you want to know about this magical island too. I know what to do. I’ll just tell you about it. Like a friend telling you about an adventure they had. You know how that can be. They can't wait to tell you about it! My first visit here is so vivid. I arrived on a shrimp boat – that’s another story. I was a green horn from Pittsburgh! The Islands Beaches Stretched On..
From sea the Island looked like one big beach. It’s almost thirty miles long. Man I wanted to be on that! The crew told me Galveston’s fascinating history. Some was hard to believe. After docking in port it happened. It wasn't one thing. The Historic downtown has such a feeling of romance. Gas lighted street lamps. Horse’s hooves and carriage sounds in the street. There are stores, shops, art galleries and restaurants to please anyone. 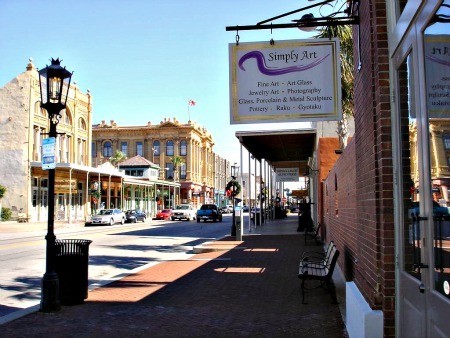 Galveston is a Victorian city. The buildings seem warm. Like old friends. At times it seems like a Hollywood movie set. But here it’s for real. Walking under the galleries seems familiar. Above you are diners and travelers taking in the sun. It’s an oasis from the bland. It is a step back in time. And its appeal will grow over time. Many notice this driving off the island. You feel it growing. As the highways widen and the pace of life resumes, the island may even seem surreal. 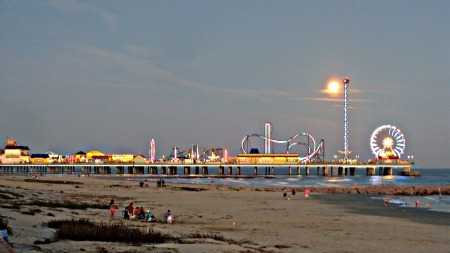 That is part of the magic of Galveston. Its mysterious charm can’t be denied. And the everyday people who made it all work. Pirates, buccaneers and privateers walked here. 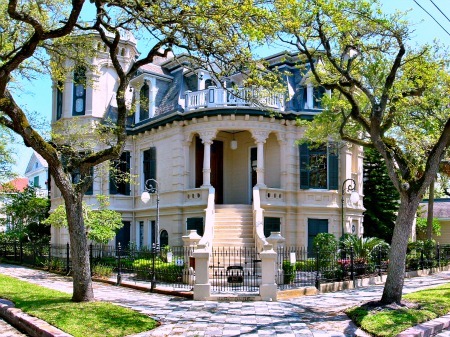 Walking along the West end you see these amazing Victorian homes. The evening breeze in their palms adds serenity to them. Many are like works of art. Their balconies shaded by palm trees are so inviting. The Island has something for everyone. It's an amazing combination of antebellum and new. In 2000, Carnival Cruise Lines started sailing from here. A perfect match! The last ten years brought three others cruise lines. Now add; Princess Cruise Lines; Disney; and Royal Caribbean Cruise Lines. Wow, they carry almost half a million passengers a year from Galveston! 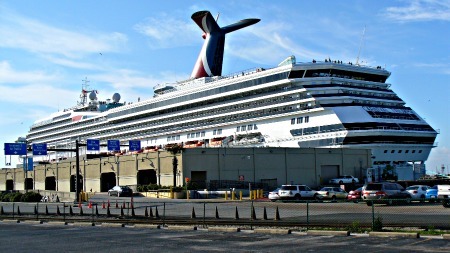 There are cruises out of Galveston to exotic destinations. Some cruises sail to the other side of the world! Destinations like: Azores; Canary Islands; Portugal; Gibraltar and United Kingdom. Wow! Those are exciting itineraries! Can you imagine a fourteen day cruise across the Atlantic? Before the ships sail you'll see thousands of passengers in town. Cameras are clicking; people are laughing and posing. It is fun to see people discover her. It's almost ten miles long. You can spend hours lazily peddling its length. The Gulf panorama is endless and life is good. Sometimes we ride it for hours. It's sweet! The seawall is filled with sight seers, bicyclist, and people just taking in the sights. It’s filled with amusement park rides. Lights flash and swirl on the the rides. All you hear are the kids laughter and squeals carried on the sea breeze. See the lights reflecting on the water? It looks great when it's totally dark! It's a lot bigger than it looks from this picture! I tried to get a nighttime shot. I just couldn't make it work. It would have been great with that full moon! Well, okay. I'll go back in May and try again! It was built in 1911 and is one of the oldest hotels here. It’s so bold and impressive looking. It used to be called 'Queen of the Gulf'. It seems no matter what’s new, its heritage is the backdrop. On the beaches, just this January, (2013) kids were running and playing. Dogs were being walked. Lovers walk along the waves. Galveston is another world. Do you like it? What would you like from your vacation? Close your eyes. Can you imagine your romantic getaway here? The Island has something memorable just for you: Maybe a stay at legendary hotel, romantic B&B or resort. Maybe just an inexpensive getaway is enough. You'll find it here and with atmosphere. The memories will travel home with you. They will bring you back again. It is an Island City. A family vacation is perfect. This charming Island vies for your attention. 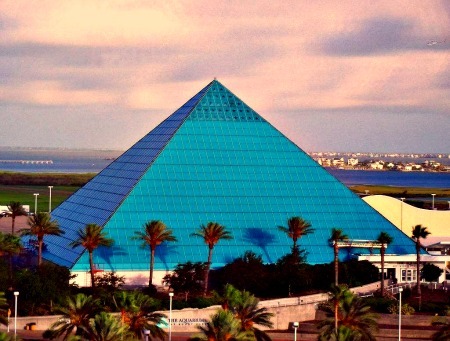 With Moody Gardens, Schlitterbahn Water Park (I spelled that right), Museums, there is something to please anyone! Anywhere you stay you’re minutes from every attraction. No driving for an hour to get somewhere. You're already here! The Island makes a wonderful vacation. It’s the perfect ‘get away from it all' trip. 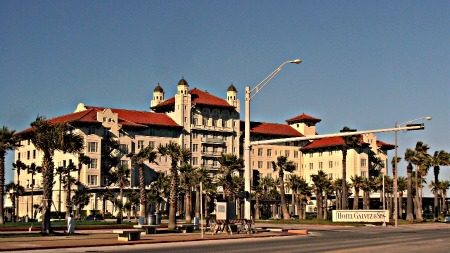 It's a surprising Gulf Coast Island with atmosphere and class. 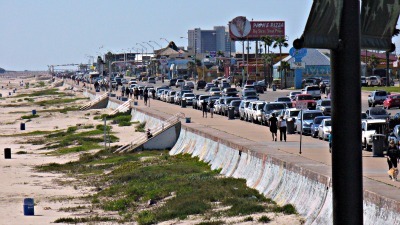 Galveston has something for everyone! 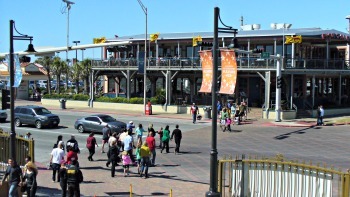 Leave Galveston Travel and Charm Homepage and go to Accommodations.